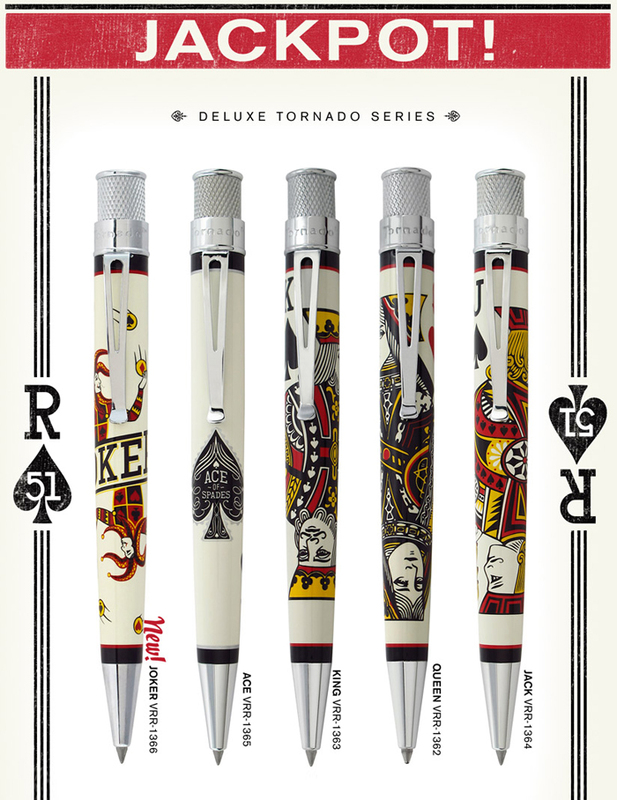 Tornado Playing Card Royale. 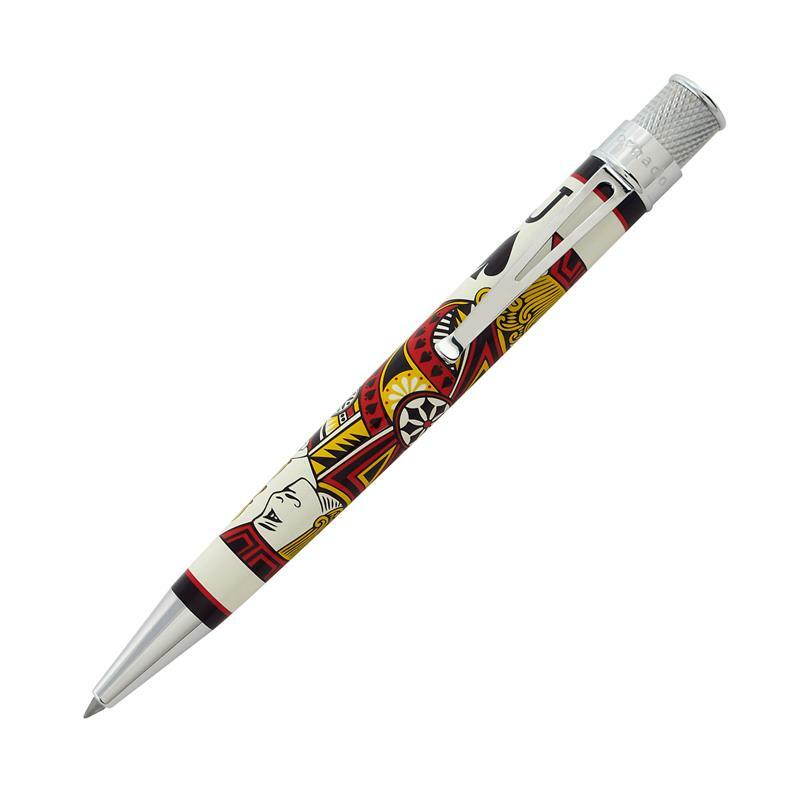 Twist-top rollerball with playing card print & chrome trim. Each one comes in a Retro brand tube in assorted graphics that doubles as a pen stand. Available in Jack of Spades, Queen of Spades, King of Spades, Ace of Spades and the wild card, Joker. Get them all for a Royal Flush! Replace the rollerball with any readily available Parker-style ballpoint refill and your Tornado is now a ballpoint pen.